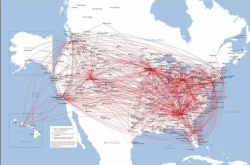 A map of Delta Airlines routes. 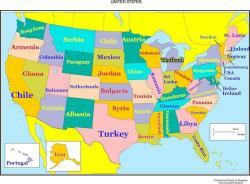 Comparing the education level in each of the 50 states to a corresponding country. 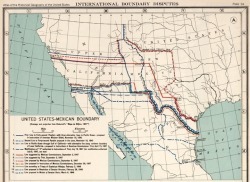 Map of the Negotiated Boundaries between the United States and Mexico following the Mexican-American War. 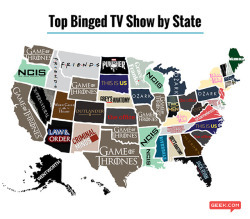 Most Binged TV Shows By US State. 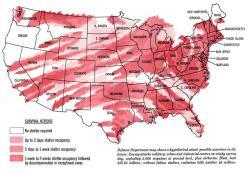 Hypothetical nuclear fallout map depicted by the department of defense. Orange and Red Areas have Equal Populations. Red and Orange Areas have Equal Populations. Pivot Counties, Counties that voted Obama in 2008, Obama in 2012 and then Trump in 2016. Reviewing more than 200 million test scores to spotlight U.S. school districts with the nationâ€™s worst achievement gaps. Minimum wage to rent two bedroom apartment. 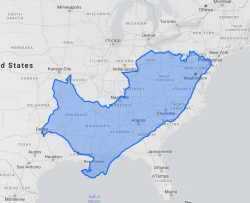 The original Thirteen Colonies, extended from coast to splendid coast. Taft vs. Roosevelt: the candidate with more votes in the 1912 election. 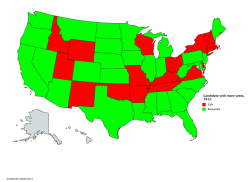 Most common majors by US state. Northeast Megalopolis. 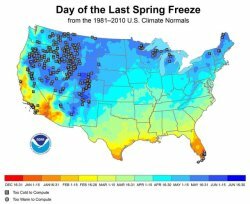 As of 2010, it had a population of 52 million, 17% of the US the USâ€™ total population.